The whole world is screaming. It’s become a global activity. In some places, it’s the only activity. We’re screaming at each other, screaming about each other, screaming about rights, wrongs, life, lies, salvation and anything else. Yelling has always been an attention-getter, in politics or in art. Norwegian artist, Edvard Munch, knew the strength of a high shriek when in 1893 he painted the first of four versions of The Scream, finishing three other versions by 1910. Munch was inspired to create the series after a walk with friends at sundown. According to his diary entry, he “felt a vast infinite scream through nature” and the rest, as they say, is history. Public servants hear various screams, too — constituent screams. In fact, one can find volumes of quotes from public servants who stated that the cry of an overlooked and unappreciated citizenry is what led them to pursue a career in government. 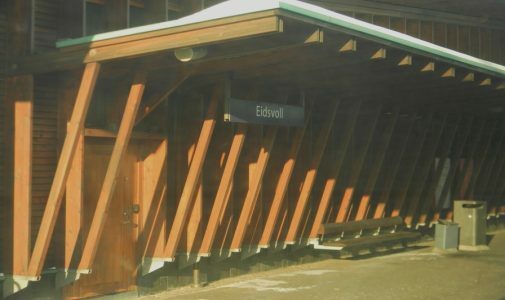 Eidsvoll, Norway comes to mind when I think about how many times I’ve heard a public servant talk about the roads on their public service journey. Eidsvoll is the site of Norway’s first parliament and it’s where the Norwegian Constitution was signed on May 17, 1814. The city’s name translates into ‘road passing through a waterfall or meadow’ and I always thought the road passing through part was interesting. Of course, we hope that public servants don’t merely pass through as it relates to their tenure in office, but rather hope they do something to make lives better for their publics. The idea someone paused long enough to listen to someone and in doing so, helped out, is more than a little sentimental. It’s what we wish would happen, isn’t it? It’s what we want to believe does happen. When public servants stop listening or fail to pay attention, they run the risk of isolating and alienating the very citizens they want to help. Whether intentional or not, these citizens can come to feel as if they are stranded from the policy process. Without the input, wisdom and feedback of these stranded resources, policy implementation is little more than a well-intended action destined to fail. Public Servants possess the mechanisms to avoid a failure of a policy or at least to lessen the opportunities for something to go wrong. Mobilizing citizens is an important tool in all aspects of policy. Whether in pre-implementation, during the policy planning process or when taking the actual steps to carry out a policy, citizens can be valuable assets when engaged. They can help to identify problems in implementation or they can advise for or against a particular goal or objective. A real servant-leader knows this and engages his or her public, followers and peers in order to build a partnership for effective public service. 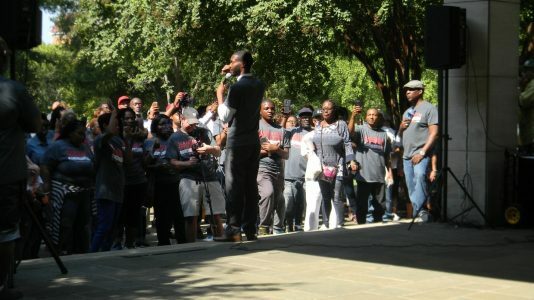 During their 2017 mayoral campaigns, Chokwe Antar Lumumba (Jackson, Mississippi) and Randall Woodfin (Mayor-Elect, Birmingham, Alabama) did just that. What these two candidates did in their respective campaigns, more than anything else, was to engage citizens who felt overlooked, unheard and unappreciated. Their actions resulted in their victories as mayor. Trussville, Alabama, Realty South Broker Larry Read is an example of a private sector servant-leader. He recognizes that enrichment energizes employees and looks for ways to do it. He strives to provide an environment of resources designed to empower people to do their best. That sounds a lot like the major tenets of servant leadership. In her 1995 book, The Web of Inclusion, Sally Helgesen highlights the importance of a leader making “everyone, at whatever level, feel included.” I don’t know if Randall Woodfin or if Chokwe Antar Lumumba are familiar with Helgesen’s writings or not. Woodfin is certainly familiar with public administration terminology, actually running on the concept of servant leadership. Lumumba’s campaign slogan was “When I become mayor, you become mayor.” That should answer the question as to whether these two mayors understand road conditions and how much importance they place in engaging a city’s stranded resources as its servant-leader. Whether or not their tenures will be seen as an eidsvoll—a road passing through—only time will tell. But in either case, the infinite screams of the public will be there, as always, giving both the opportunity, if they desire, to create a masterpiece of governance. Images: All images were taken by Lisa Saye in Eidsvoll, Norway and Birmingham, Alabama. Author: Lisa Saye is Executive Director of The Policy Analysis Institute. She served as Fulbright Specialist in Phnom Penh, Cambodia and as International Consultant for the United Nations Development Program in The Maldives. Saye earned her Master’s in Human Resource Management from Troy University and her Doctorate in Public Administration from The University of Alabama. She can be reached at [email protected]. Great article, Robert K. Greenleaf (1977)argues that Servant leadership is a philosophy and set of practices that enriches the lives of individuals, builds better organizations and ultimately creates a more just and caring world. Abeer, thanks so much for reminding us about the contributions of Robert Greenleaf to discussions around servant leadership. Beautiful piece, for some time I felt that I am reading a poem, or listening to a musical composition. Great writing style. But most important is the idea presented in the paper. Frankly, I agree with what all the ideas that came in the paper, and I think the public servant should listen carefully to the public scream. This is what happened with the three GOP members of Congress, John McCain, Susan Collins and Lisa Murkowski when voted against the Obamacare repeal bill, but anyway those are public represents not a servant, but if we give more attention to the public servant in the current administration (trump administration) I do not think these people have ears to hear, or they are deaf, they only hear their inner voices. Frankly, Trump did not give any chance to anyone to scream, while he keeps people busy reading his crazy tweets. Hassan, your sentiments are welcomed as are your examples of servant leaders. Dr. Saye, this is a remarkable article which is very timely. As you proficiently articulated this kind of resource is rear, and the world will definitely be a better place with servitude leaders and scholars like you. Kelvin, thanks for your comments. Your work is notable in this area as well. Dr. Saye, this article is both informative and impressive. Governance and public policy is at the forefront of my career. Stranded resources are suffering and, as public servants, we must continue to listen to and engage citizens so that they feel valued. Helgesen’s statement was on point of leaders making “everyone, at whatever level, feel included.” Inclusion is a very important topic and I am glad that you mentioned it. It is vital to the growth of an organization, encourages diversity, and strengthens community. During my tenures in office, I am determined to leave a legacy of effective leadership for followers. I endeavor to follow in your footsteps in servant leadership – enriching lives, building better organizations, and creating a more caring world. Thank you. Susanne, thanks so much for your comment. Inclusion often gets lost in dialogue and debate, but as you pointed out the ‘feeling’ one has of being included is essential not only in communities, but in organizations as well. Another great one from my Chair. The article is a masterpiece. Thanks, Mike. I’m always pleased to read your comments. Great article, Dr. Saye really inspiring. Leadership is something that comes natural but to become a good leader it takes servant leadership. Great job! Many thanks for your insight, Marquice. Thanks so much for your comment, Marquice! Thanks for reminding us about giving too much attention to our own voices. Thanks, Dr. Mohr. Your comments are always an additional lesson.